When you search for "The Best Countertop Material" you will always find granite on the top position and you must be thinking that "Why is Granite The Best Countertop Material?". 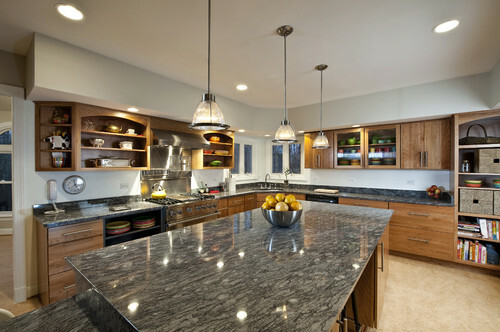 Don't worry we will be telling you that what makes Granite the best countertop material. Choosing Granite countertop is most of the times a good option as it fulfills most of the kitchen needs like durability, low maintenance, it's timeless look, scratch and heat resistance. 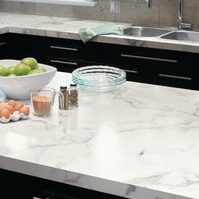 In a satisfying cost it gives your kitchen countertop many benefits that most of the countertop materials are not able to deliver. 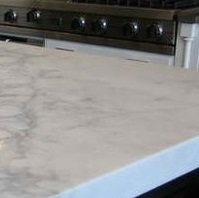 So we will be telling you every advantage that a granite countertop gives you in detail. Placing Hot Pans on granite countertops will not affect them as they don't get heated up easily and there is no need to worry about cracks. 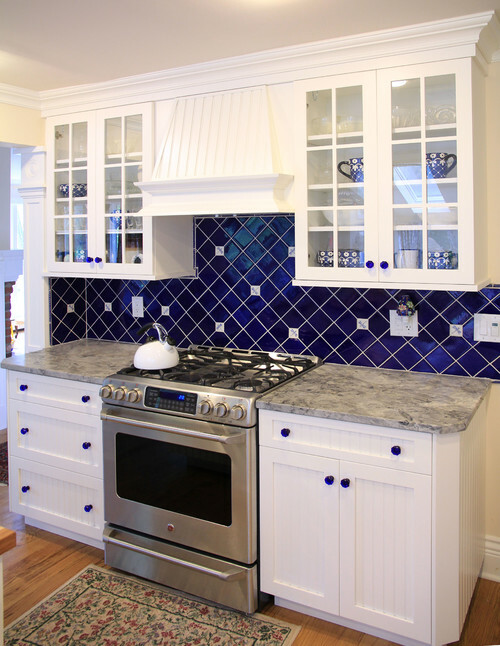 Granite countertops absorbs heat from the hot pans. In the worst case scenario high heat can cause the granite to soften and can also remove the coat of sealant which protects it from stains. 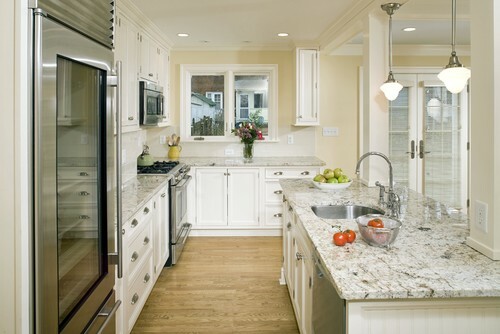 Granite countertops get affected if they are exposed to extreme temperature changes directly. If you have an outdoor granite kitchen countertop, then in winters it will have to face cold temperature and direct heat from the sun during summers, in that case it can crack. Using sharp knives or objects won’t affect them as they are quite hard and will indeed make your knives dull quickly. It is still recommended to use a cutting board for chopping things but don't worry as granite countertops are not affected by the daily wear and tear. They are non-porous if they are sealed nicely that means it will get stained slowly if a liquid falls on it. So you don't have to worry if anything acidic falls on your countertop as far as you clean it within few minutes. 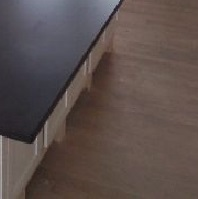 Almost every stain can be removed from granite countertop. Oil stains which get absorbed and can be removed using a poultice which absorbs oil from the surface. 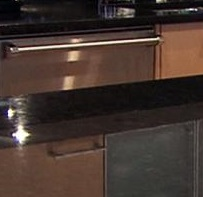 Water also gets absorbed by the granite countertop and it leaves dark spots behind. But don't worry as the water gets evaporated and most of the stains gets dried within few minutes. 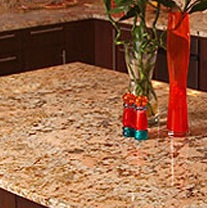 Granite is free from fungal infections and bacteria if sealed properly and maintained. Using an anti bacterial soap to wash your countertop will keep bacteria away from your countertop. Granite slab is available in different colors and textures giving it a wide range of collection to be chosen from. While choosing a granite it is best to see the slab yourself in real as the textures and patterns of every slab differs from the other one. Granite has 1000's of different shades and color, every granite slab is unique in terms of veining, texture, shade and appearance. Granite countertops lasts long for years with little maintenance, which includes sealing the countertop twice a year and regular cleaning that needs to be done. 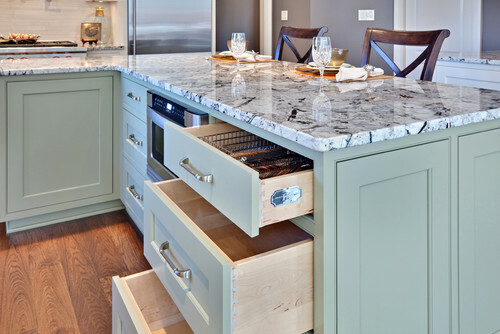 It is advised to install the granite countertop on new cabinets as replacing the cabinets will not leave the granite in a state to be installed again. 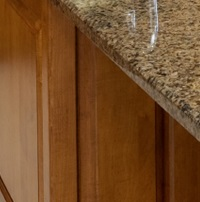 Granite countertops can be cleaned easily using warm water and mild detergent. You can also use special cleaning agent that are easily available in the market for cleaning the countertop.